In gujrat, at Vapi near Daman I have seen builders are using Fly ash blocks and panels for cladding. This way they have solved the problem of bricks and fine sand in masonry and plastering. This alternative can be explored. hello...i am tanpreet singh from ludhiana (punjab). i just want to ask u all members, i have done my masters in structural engineering and i have interest in structural designing work, is there any vacancy of structural engineer firm near by punjab, chandigarh. if there any vacancy please let me know. 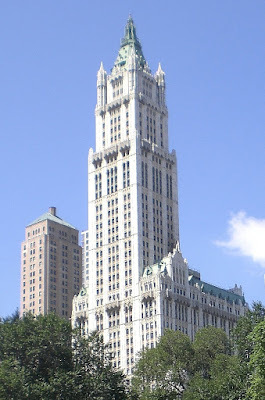 *The 60-storey Woolworth Building in New York, built in 1913, required 17 million bricks, 7,500 tons of terra cotta, 53,000 pounds of bronze and iron hardware and 87 miles of electric wiring. *The Empire State Building in New York (built in 1929-31) required 60 miles of water pipe and 3,500 miles of telephone and telegraph wire. Rain and snow can sometimes be seen rising instead of falling because of the wind patterns around the building. *The World Trade Centre, which wasBuilt in New York (built during 1970-71 and destroyed in terrorist attack in 2001), used enough concrete to lay a pavement 5ft wide from New York City to Washington, DC, a distance of 204 miles. The electrical wiring for the twin towers would have reached from New York to Mexico (about 1,500 miles). More than a million cubic yards of earth and rock were excavated to make way for the World Trade Centre. The material went into the Hudson river, creating 23.5 acres of new land. *Willis Tower. Formerly known as Sears Tower in Chicago contains enough concrete to build an eight-lane highway five miles long. If laid out flat on the ground, the black "skin" of the tower would cover an area of 28 acres. Currently, Sears Tower is the second tallest building in the world. At 1,729 feet, it is superceded only by the United Arab Emirates' Burj Khalifa in structural height. Since its completion in 1974, it still remains the tallest skyscraper in the U.S. This "bundled-tube" configuration was a revolutionary engineering concept at the time, pioneered by SOM's Fazlur R. Khan. Due to its excessive height, Sears Tower was designed to lean approximately six inches from normal to counteract for the rotation of the Earth -- a fact that engineers later discovered was unnecessary. Other resources erroneously claim that this lean is the result of unequal loads bearing on its foundations.